*Pacifica Club* is a hillside resort located along the edge of Palmer Bay in Ixtapa, Mexico with international airline access at the nearby Ixtapa-Zihuatanejo Airport. Each richly appointed suite features a private soaking pool, fully equipped kitchen, and room service. 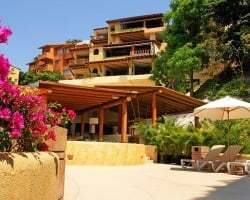 Several on-site restaurants are available with additional restaurants and shopping in nearby Ixtapa and Zihuatanejo, Mexico. Restricted, beautiful beach access is within walking distance. Resort amenities include an on-site spa, nightly local entertainment, programs for kids, beach and aquatic activities, and more! 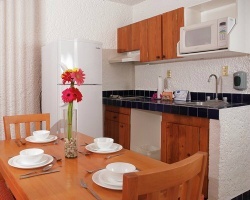 To discover more, visit www.pacifica.com.mx. Endless possibilities available in beautiful Mexico! Multiple weeks a yr! Buyer May Receive A Title Fee Credit, Inquire For Details! Or best offer! Pick your vacation dates with an annual floating week! RTU until 2041! Buyer may receive a title fee credit, inquire for details!